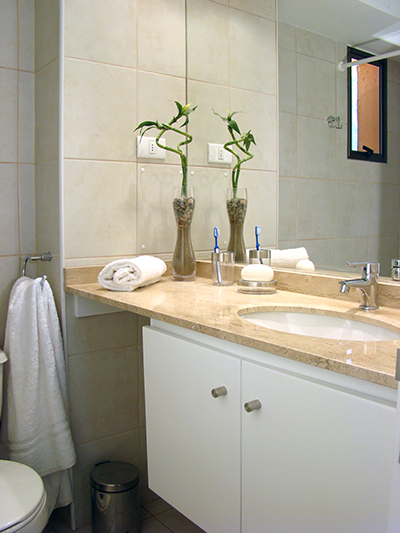 You don't need to completely overhaul your bathroom to have a new bathroom, just appoint make certain updates. Using Priceatrade you can select out the things you need and then appoint a Bathroom Renovation Specialist. Here are some ideas to get you thinking. Ceramic, marble and stone tiles make great impact, are durable and water-resistant. Add in subfloor heating coils and you transform your bathroom in one go. If you can free up space for a shower consider building an open-concept shower area that doesn't need a curtain or door. Add a ceiling-mounted rain showerhead and/or a high wall-mounted showerhead that splashes less water will keep the area outside the shower dry. 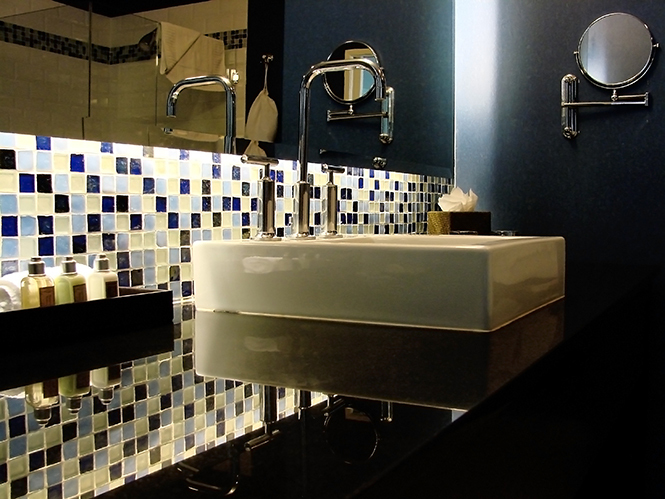 Your Bathroom Renovation Specialist will be able to advise you on the best approach. Good lighting is critical. Combine halogen pot lights with wall sconces beside or over the mirror to achieve lighting minus the shadows. Remember to add dimmers. If space is tight with potential traffic-flow problems due to how the entry door or shower door swings open, then consider putting your sink in the corner to free up space. Because bathrooms are usually small spaces, splurging on a few higher-end materials and finishes can be a good investment that can make your space seem incredibly luxurious. So before you issue a mandate that your bathroom will feature only the most basic affordable materials, look at some things at the higher end of the spectrum. You might find that adding one or more of these materials to a small portion of your bathroom is within your budget. Not only can it make good use of a space that is little used but a modern shower (and there's some great designs around nowadays) can really update your bathroom. So key in the things you need today and choose from our bathroom renovation specialists, and make that change for the better today!